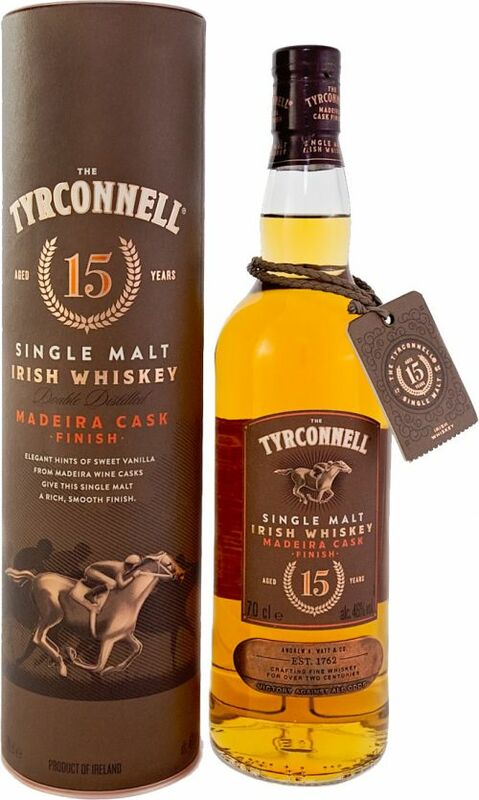 The Tyrconnell 15 Year Old Madeira Finish builds on the high reputation of it’s sister bottling at 10 years old which is a firm favourite amongst the Kilbeggan Distillery portfolio. This new expression has raised the bar even higher and delivers a polished and rich flavour experience. We expect this single malt to be hugely popular amongst our customers and we only hope that the distillery has enough of it to go around! Nose: Aromas of white grapes, peach, toast with honey, caramel waffles, nutella and Viennese whirls.